Liam in life,Gained a simple magic,Celestial Spirit Magic,Though it's not a very special magic it's a very special magic,at least in Liam's eyes.Just being able to summon beings from another realm amazes him,but his Celestial Spirit Magic is special in a way,as most of his spirits are holy beings like Angelic beings almost.This is partly because when he was still a child,He went to "Awaken" his Magic,Trying to show all the other children he was the best,he climbed up a mountain seeking power,at the top was not what he expected,Many Angelic Beings gathered around a small city,it seemed to look like Heaven.As soon as he walked into the city an angel greeted him and suddenly made a ceremony for him and apparently he was "Blessed by the Angels". Making it so he was,considered an "Angel",so he can make contracts with other angelic beings,also giving him other abilities. Description: The ancestor in here could have turned into a god, but nooooo, he had to preserve the fabric of reality or something. For this lineage, this ancestor, known as the One Who Got Close, is the only one to have found the Fourth Wall of the world, giving himself the chance to break it and ascend to the heights that are unknown, basically, us. However, when told by the wall that breaking it would sacrifice everyone else in the world, the noble goody-two-shoes chose to stop himself instead and as a result, he was blessed by the Fourth Wall. This blessing would go down to his bloodline and now you, oh lucky guy, are one of his kin. Ability: The Fourth Wall respects the user's bloodline and has given those of it the Glimpse, the ability to see what the user should not be able to see. Of course, to respect the purpose of the Fourth Wall, the user can only see one "Thing" at a time. Such as a snippet from a magic or character app (See 2 strengths or 2 weaknesses, see 2 likes or 2 dislikes, and so on. ), or from another post to know someone is for example pursuing them or that someone is going to make a certain attack on them within the current post. 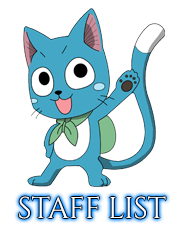 The user has the option to use this ability rather than summon a Celestial Spirit. 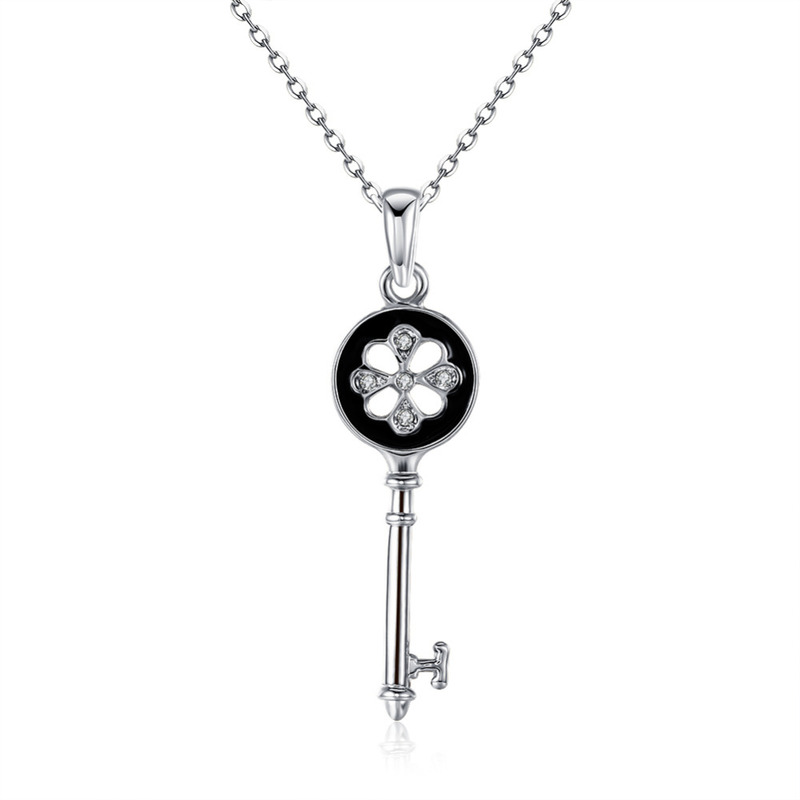 In order to use this however, they pay the regular amount of MP required in order to summon that key when using this. This can only be used on one key at a time. The user gains the abilities and similar clothing to the Spirit they use this ability on. The user also gains magic power effectiveness on their primary magic depending on the ranking of the key used for this spell. Effectiveness: The amount of impact a magic has. As it increases, so does the power of an offensive spell increases, the healing of a healing spell increase, etc. 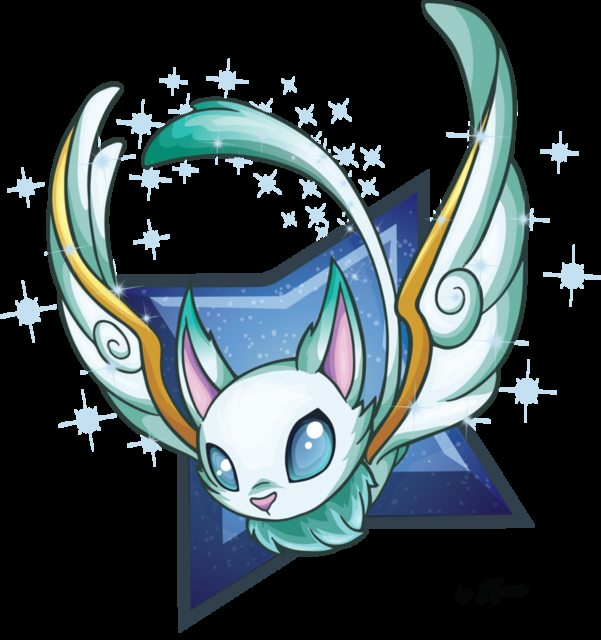 The user while in this form is considered a Celestial Spirit. Naturally, the Star Suit lasts for the same duration as the user as well as the cooldown. If this is used, the key that this ability has affected can't be summoned until the cooldown has finished. 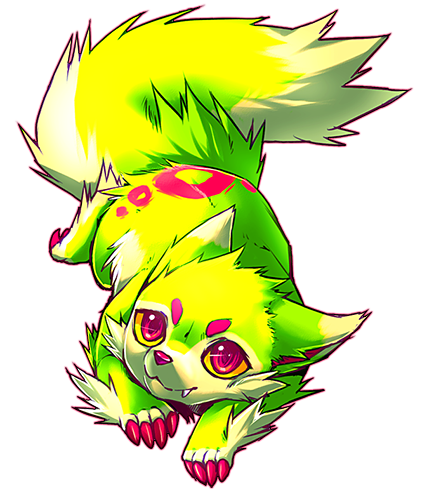 This ability while being used is considered a summon, and takes up one summon space. 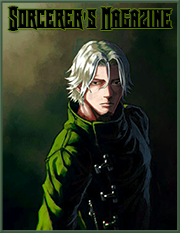 The user is able to use their Summons in areas where magic is not able to be used.But a drawback is that it takes summons 1 more post to appear and cooldown is increased by 1 post as well.However if Liam is in a battle with someone and they use a spell to remove his abilities to summon anything for the time being he is able to still use his spirits as long as he pays the same amount of MP that the spell that silenced him used.This may only work on spells that are of equal ranking as him or lower ranking. The user holds out their arms and says a couple words.The user glows and a blast of light is shot out of the user dealkng uswe-rank damage.The blast can go from up to 40 meters away at 20 meters per second. -Good against daek/shadow but dark/shadow is still good against it as well. The user holds out their hands and their hands start to glow,magic circles appear in their palm,a couple seconds later a ray of light is shot out,the ray can go 40 meters away at 20 meters per second,if you shoot an ally you can heal them for an equivalent of one D-rank damage. 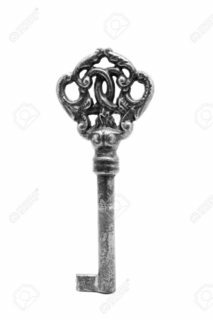 The User Holds Out A White Key With a Black Tip And Shouts out or Calls upon the Spirit:"Open Gate Of The Kitsune,Vulpena!" Causing a 5'4'' lady to step out of some fire and greet the user awaiting for the user to command her. Vulpena Blows a kiss at a target 15 meters away and a burst of fire blasts at them, dealing Full D-Ranked Damage,If Used Against a Earth or Water Magic User it deals 50% lesser damage. 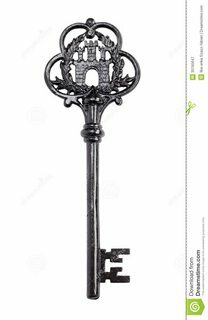 The user holds out a silver key,that looks to be used alot before Yelling or calling upon the spirit "Opne Gate Of the Lazy Dog,Lyon!" soon after a 5'6'' male steps out of a orange portal,slouching and holding some food in his hand,greets the user and awaits commands. ·May fall asleep mid-battle causing his bubble and himself to disappear to the Celestial Spirit Realm,and the normal cooldown starts. 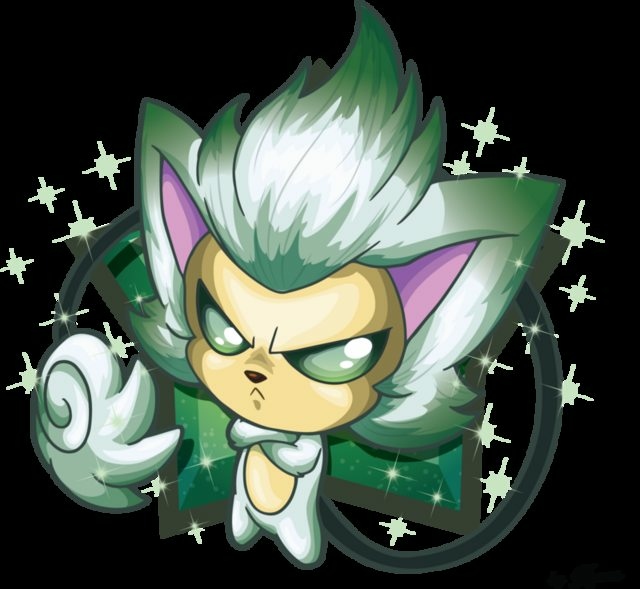 Razor sends out shadow aiming it at one target 30 meters away,they soon wrap around the target putting them in a bubble of shadows healing the target for an equivalent of a Full D-Ranked Damage. 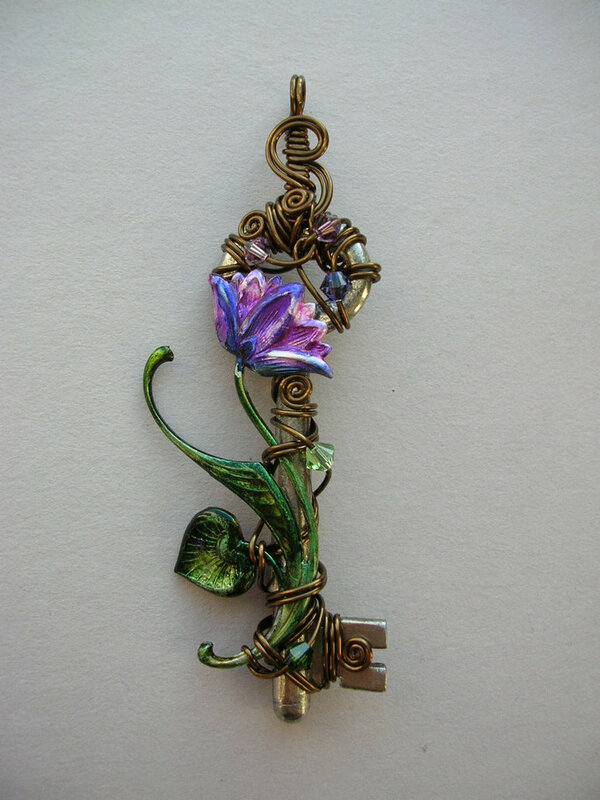 The user holds out a key and digs it into the ground,they leave it there and call upon the spirit "Open Gate Of The Flower,Flora" A plant grows out of the key and turns into a dryad like creature. 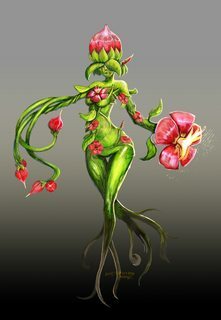 Flora holds out her arm and makes them into the shape of an X,suddenly flowers come up from the ground,they bloom and the ptals come off and turn into a flurry of some sorts.It can go from up to 20 meters away at 5 meters per second. The Guardian Luna,a spirit Liam has collected with many others.But this is a special key since this was given to him by the moon Goddess Artemis herself.Luna has a special connection with the gods,so she protects them,hence her epithet being The Guardian.She protects any threats mostly towards the moon goddess Artemis.All the user has to do is cut the air with the key and say 'Open! Gate Of The Guardian,Luna!' 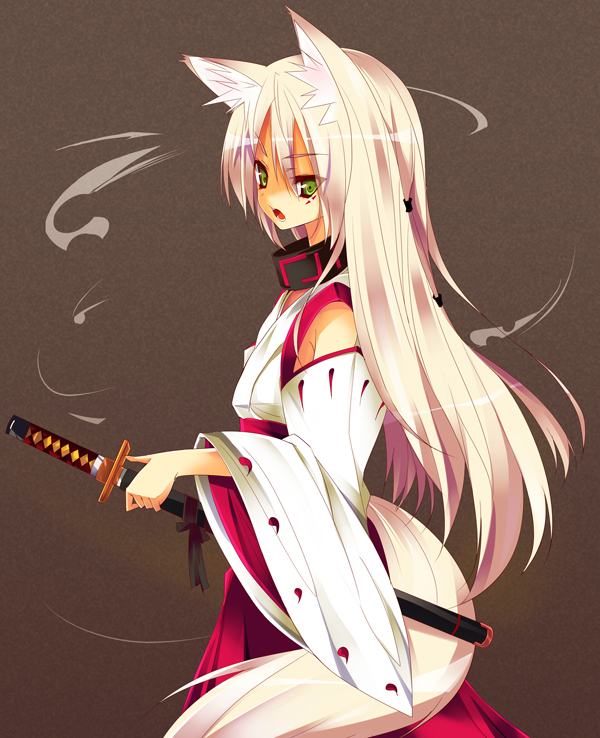 The white haired girl then appears in front of the user,she has long white hair and wears very light clothing. -Really has nothing to attack with,since her celestial spirit form is a weakened form of her real body. -Very Cocky,so she can be hard to deal with at times. Radient Aura: If someone is 3 meters in range of her,They will be blinded by her aura,in order to get rid of the blinding they'll have to back away. 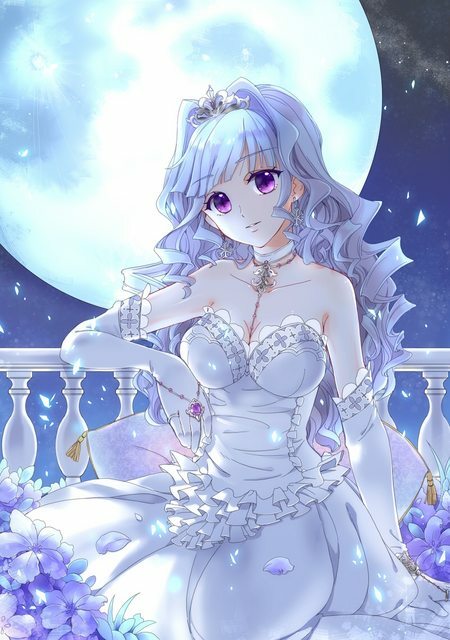 Description: Luna will hold out her arms,she'll start to chant words from different languages,She will start to Glow.After a brief moment a bright light is sent towards allies in a range of 20 meters.The light will heal them for 75% D-Rank Damage.A max of three people are allowed to be healed by the light. The Celestial Paladin is another old friend of Liams.The paladin used to be a childhood friend of Liam's until something tragic had happened to him.The paladin came to Liam in Spirit Form and told Liam that he could have a second chance in life.But the paladin wasn't able to do it unless Liam accepted him as a companion for the rest of his life.Liam accepted and was given the boys key.Liam only has to cut the air with the key and the Paladin will automatically appear in front of him. 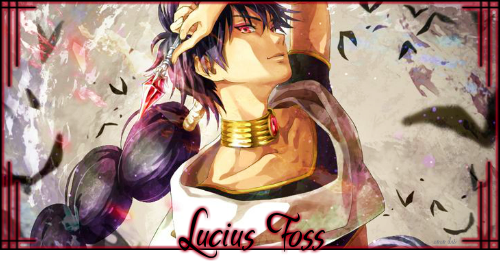 -Although Loyal,he can't really block any damage for Liam. 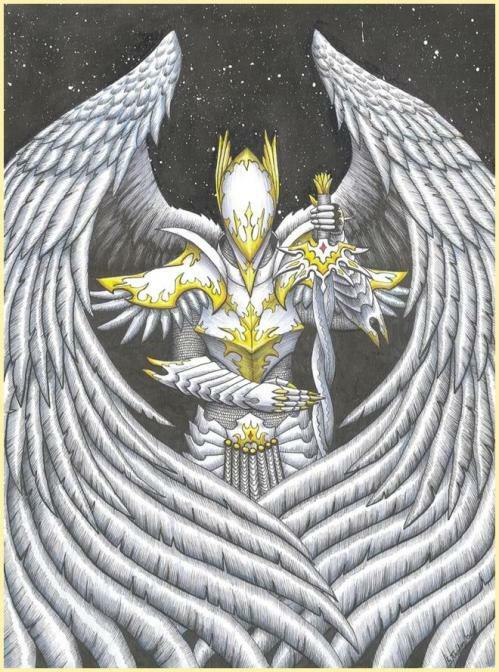 Angelic Contract: Since he is counted as an angel,he is able to have wings and with those wings allows him flight.But max range for height is 45 meters. Description: The Paladin holds their sword out,and starts to energize the sword.The sword will start to glow,Whenever it is full 'glowed up' He throws the sword towards a target location.The sword can go up to 55 meters away at 25 meters per secondWhenever the sword is thrown at the location,a giant illusion of the glowing sword appears at the target location.The illusion will do damage to enemies in a 30 meter radius of the giant sword.The sword is 20 meters in length and 25 meters in width.The targets in the area will have 50% damage done to them.The sword disappears after at least one enemy is in the area and damaged. -Glowing sword can be easily destroyed if a projectile is able to hit it. Isis is just an acquaintance Liam had met from the angel city,She used to be a goddess until she has returned to her home area which is the Angel City.He had met Liam and wanted to journey with him.The user has to hold out her key and yell out.'Isis! Goddess Of Wisdom Appear!' The Red eyed goddess will then appear. A Goddess's Wisdom: Due to her being the goddess of wisdom,she knows almost everything,from how the earth was created to how to cook extremely delicious pasta. Varus is the forgotten brother of Cupid.Varus was once a fallen angel,but he was soon purified by Liam.They met each other in battle and Liam ended up winning.However the prize was that if Liam won Varus had to give his key to Liam,and allow to be purified.They do have a pretty strong bond.All Liam has to even do is give a flick with the key and the man will appear in front of the user.Varus has blonde hair,and wears little clothing,basically the same as his brother cupid.He even has a pink bow,and has the same abilities as Cupid. -Wearing little clothing allows for him to be hit in more vulnerable areas,such as the stomach. Varus will energize his arrow quickly,the arrow will turn into a hot pink.Whenever this arrow is shot at a target it heals them for a full D-Rank damage.The arrow can shoot from up to 40 meters away at 15 meters per second.This can't be used in offensive ways. Ahse,Someone Liam really doesn't know much about.All he knows is that Ahse used to be apart of a village somewhere in the cold areas.Which is why her title is 'Archer Of The Cold'.Liam has to throw the key into the air and say "Gate Of The Archer Of The Cold,I Open Thee,Ahse!" 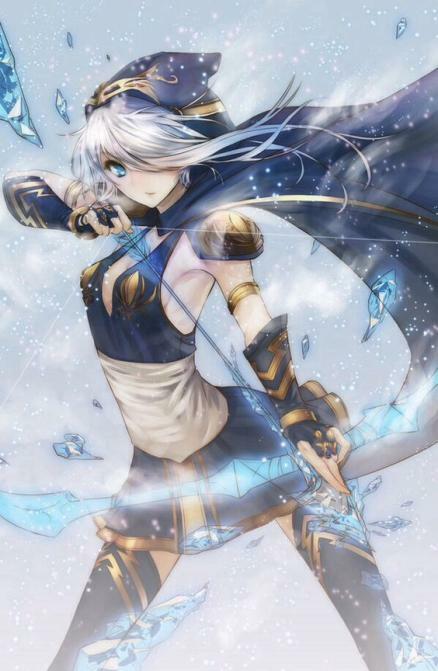 Then the white haired girl will appear in front of the user.She has mostly blue attire and has an ice bow for a weapon. Description: Ahse will have to hold her bow and make it point up,She energizes the bow for a long while.After that long Energizing,she shoots her bow at the target area.5 Arrows are shot they each deal 25% D-Rank Damage.They can go to 30 Meters away at 15 meters per second. Hana is one of the Guardians of the celestial spirit realms gates.She protects the gates of the Celestial Realm And the Earth Realm form colliding.And with this power she is able to protect anyone,no matter how good or bad they are.Liam does treasure the spirit,since she is someone that comes to give him advice.The user holds out her key and says "Gate Of The Keeper Of The Stars,I open thee!" 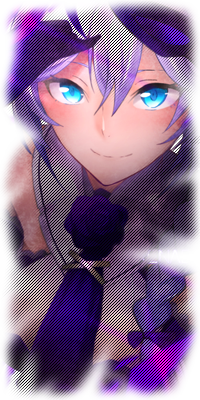 A young looking girl will appear beside the user.She has long blonde hair and wears a purple and blue dress. Description: Hana will hold out her hands then chant some words in a different language. "Magic come help and protect constellation".A purple and pink barrier that is decorated with a constellation appears in front of Hana.The barrier is 2 meters in height and width.It can Withstand 2 D-Rank Spell Damages,or 1 C-Rank Damage. -Although pretty wide and tall,it can be shattered pretty easily. 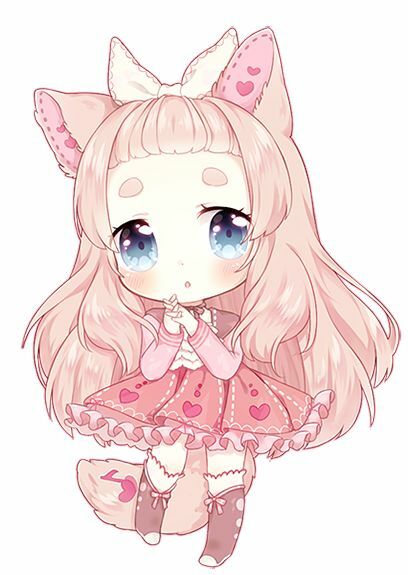 Labya,A girl who was lost in the world in love,and still is.She seems to represent a light pink colored kitsune.She has a habit of trying to make Liam fall in love with someone,since that's what she wants Liam to have.But usually she just teases him alot,even though she is very small,she can still withstand some attacks.The user will just hold her key and say: "Heart Seeker,Labya! Come out and find the love!" And the pink kitsune will appear. 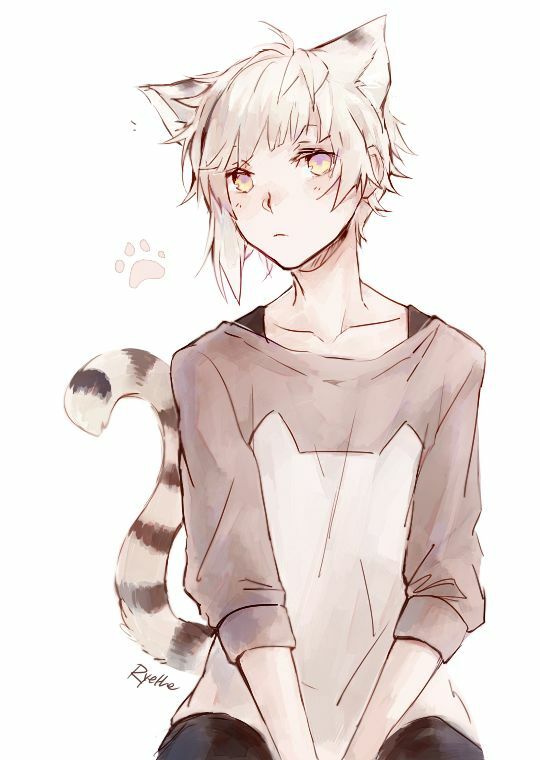 -Doesn't really like to listen to Liam. Love Seeker: If she is fighting someone that is the opposite gender she deals 15% more damage to them. 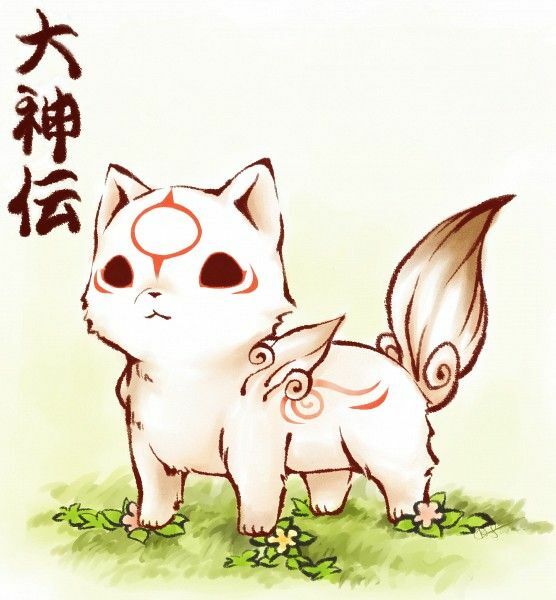 Snark the Spirit pup is of course,a pup.Now he is very adorable and all,but he's still a spirit meaning that he is untouchable by humans.But he still is able to be touched by weapons and spells.His is a cream colored puppy,and has some red marks located on his fur.Liam will hold out a bone shaped key,and start to say "Gate of the Spirit Pup! I open thee! Snark!" And the small puppy will appear. Spirit: Since he is a spirit he has a 25% Damage reduction to Bare Fists. Snark holds out his paws and scratches the air,Eventually a translucent looking halo will appear in Snark's Paw.Snark will throw it at a target so they can wear it upon their head.The halo can be thrown from up to 45 meters away at 20 meters per second.Once the halo is thrown at a target the target will receive a 25% damage buff to their spells. The User Holds Out One of the 12 Golden Zodiac keys,Calling upon the Spirit "Open!Gate Of The Ram!Aries!" A 5'2'' Lady appears from light,and greets the user nervously,she soon gets ready to attack. Aries conjures a massive amount of magical wool around her opponents from 25 meters away, Dealing 50% C-Ranked AOE Damage to targets she hits, in which she can ambush them in any given direction and lull them into a relaxed state, bringing the battle to her advantage. The user blasts little bursts of pink wool at the target from 30 meters away, Dealing Full C-Ranked Damage, which latch onto them, making them feel warm and relaxed,Deals 25% more damage to stressed enemies. Boki And Baki are the pets of The Celestial Paladin.Almost all celestial spirits have companions,like The Celestial Paladin.He chose to have Boki And Baki As his pets.Boki and Baki are brother and sister,Boki being the brother and baki being the sister.All Liam has to do in order to summon them is hold out The Celestial Paladin's key and instead of saying the Normal he has to say: "Companions Of The Celestial Paladin! Bok and Baki appear!" The two cute beasts then appear beside Liam. 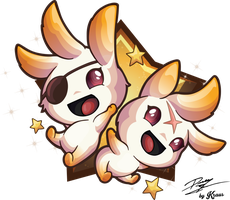 Soul Linked: They both have the same health.If one is hit then they're both hurt.They aren't able to part form each other,the farthest they can go without each other is 5 meters. Description: Boki and Baki will hug each other and give each other energy,After they are fully energized they will release a circle of light in a 20 meter radius.Anyone in this circle of light is healed for 50% C-Rank Damage,and this circle of light is like a shield.However it can break extremely easily,it is only able to withstand one D-Rank damage. 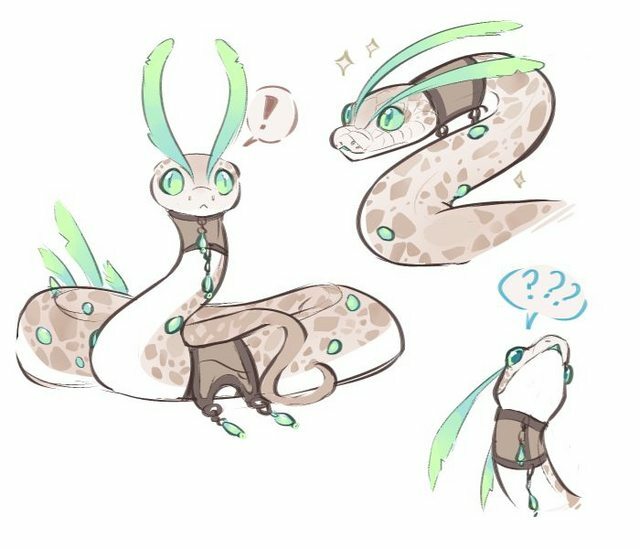 Libra is one of the only Snakes that she actually loves and cherishes.She wouldn't want anyone to hurt the small cute snake.The snake is brown and has jewelry on it.It has some horns as well,but they're mostly like feathers.The user will hold out Isis's key and the Liam will start to energize it.The key will then start to turn into the cute snake. Camouflage: As the name suggests,Libra is able to camouflage with her surroundings.But one drawback is that her feather like horns will still stay the same blue and green. 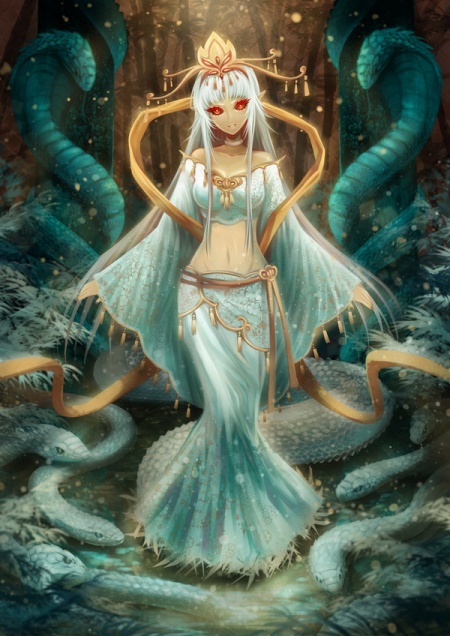 Description: Libra will start to slither around in a circle and after a few seconds of this she will turn completely brown.She will then continue to bite herself,doing this turns her much smaller.But before anything happens she will start to shoot 4 cubes of rock at enemies.Each cube does 25% C-Rank damage and can go to 30 meters away at 10 meters per second. Shisa is a cute little beast.The reason Luna chose him as her companion is because of his personality.He tries to act mean but ends up being clumsy showing off his softer side.He is quite sensitive mostly.Liam will hold out Luna's key,He starts to say something in a unknown language before the small flying beast appears on top of his head. Rage:If he sees anyone that is an ally to Liam get hurt he will turn into a rage and will deal 15% more damage. Description: Shisa will wave his tail in front of him,after a while it'll start to get longer and longer.Eventually once it get's the longest it can get it'll turn into a long piece of yarn.All Shisa will do is start to weave the yarn extremely quickly and make it into a ball of yarn.After this Shisa will throw the ball at a target.This will only do 75% C-Rank damage since it's still only a yarn ball. Yuuto is Ahse's Protector,and in the celestial Realm he trains her so she can be ready in battle.And if both are summoned at the same time whenever Liam can withstand the power,they can make a great combo.Yuuto kind of represents a Griffin,or a Lesser Griffin.All Liam has to do in order to summon Yuuto is call his name while holding Ahse's spirit key. -If Ahse And Yuuto are summoned at the same time they can be a great combo since yuuto can protect and ahse can attack. Too Cold For You: Yuuto is already too used to the cold so he can't be frozen.Unless it is a Dragon/Demon/God Slayer's Ice. 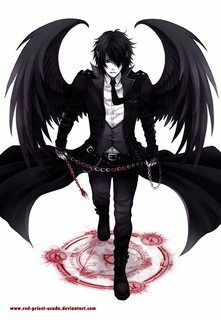 Description: Yuuto closes his eyes and will focus on his wings for a few seconds,after he is fully focused he will open his open his eyes again,and his wings will start to freeze up.Eventually his wings will start to expand because of the ice that starts to surround his wings,He is not able to fly during this phase but he can protect anyone with these wings.The Ice wings can withstand 2 C-Rank Damage. Multi is mostly a giant blob of space.Which basically makes it so it can multiply.Which is most likely why it's name it multi.Multi is able to multiply but multiplying will make it's base form turn small in size as well.Multi is mostly seen seperated into three beings.Hana picked out the companion cause of how cute and it fit in with her lifestyle.Liam only has to hold her key and the Multi will automatically come out.Whenever it's summoned it is just one blob. Multiply: Multi is able to multiply itself for the cost of turning it's base body smaller.If one piece of it's body is hit than the base is hurt as well. 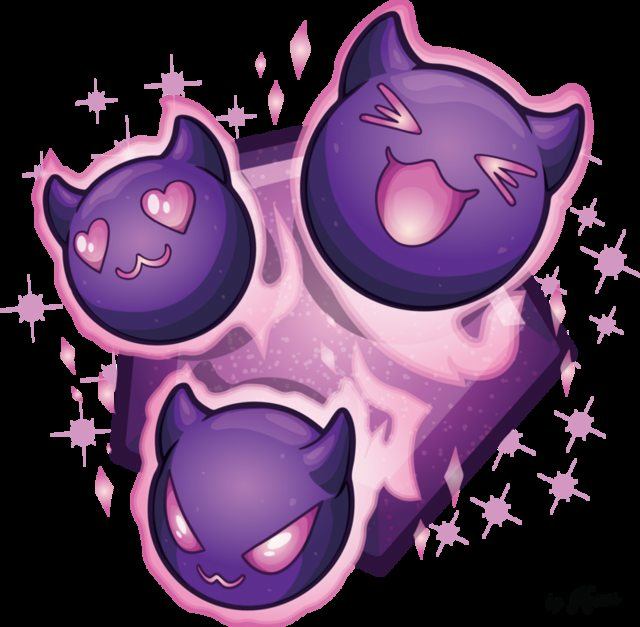 Description: Multi will form back into it's big blob form.And will close it's eyes,after short while Multi will shoot out a ball of Dark/Shadow Magic at a target Location.It will go from up to 35 meters away at 10 meters per second.Once this ball of magic hits a target area the ball of magic will erupt into a body of dark/shadow bubbles.The area of bubbles is 10 meters.The bubbles will start to stick onto the people in the target area and will start to damage them.They will take 1 D-Rank damage once they are completely coated in the bubbles.After the targets are hurt the bubbles will disappear and Multi will open it's eyes again. -Bubbles can be rid of if burnt or touched by light magic. 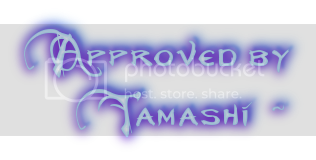 Hello JT, my name is Tamashi and I have been asked to take over as your grader this time around. Any requests I have will be made in this wonderful shade of purple. If for any reason you have concerns, worries or questions feel free to drop me a message and I'll get to it as soon as I'm able. Only slayers can consume elements/magics, also not you are unable to consume your own magic regardless. I would rework this. 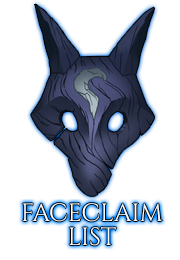 This grants the user a passive addition to natural health regen, adding an additional 5% to the 5% every 3 posts. You can have 5% hp regain every turn if you wanted. Nagging voices: My normal then departed from me. Primal urges spriting my senses away, foggy glimpses of the boy I use to be. Their parasidic demanding my conformity. Pushing limits: things are gonna get real ugly, taring through the last shreds of my humanity. Razor sends out shadow aiming it at a target,they soon wrap around the target putting them in a bubble of shadows healing them for an equivalent of a Full D-Ranked Damage. Needs a distance it can go to also does it do aoe healing or single target? The User Holds Out One of the 12 Golden Zodiac keys,Calling upon the Spirit "Open!Gate Of The Ram!Aries!" A 5'2'' Lady appears from light,and greets the user nervously,she soons gets ready to attack. Aries conjures a massive amount of magical wool around her opponents Dealing 50% D-Ranked Damage, in which she can ambush them in any given direction and lull them into a relaxed state, bringing the battle to her advantage. The user blasts little bursts of pink wool at the target Dealing Full D-Ranked Damage, which latch onto them, making them feel warm and relaxed,Deals 25% more damage to stressed enemies. Aries conjures a massive amount of magical wool around her opponents from 25 meters away, Dealing 50% D-Ranked AOE Damage to targets she hits, in which she can ambush them in any given direction and lull them into a relaxed state, bringing the battle to her advantage. The user blasts little bursts of pink wool at the target from 30 meters away, Dealing Full D-Ranked Damage, which latch onto them, making them feel warm and relaxed,Deals 25% more damage to stressed enemies. Hi there, jtmoney. 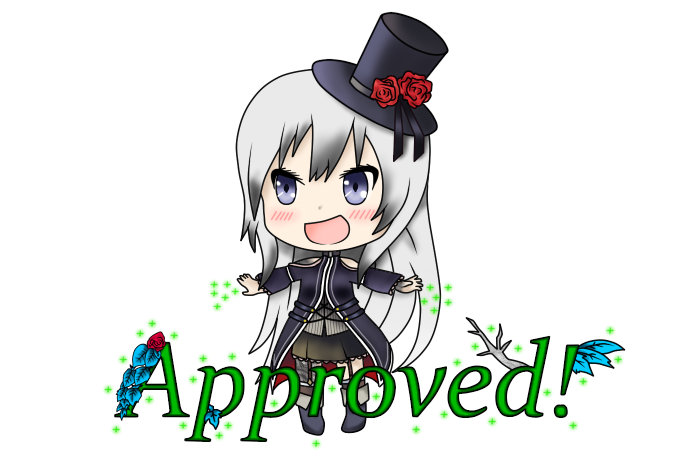 You already know me as Eris Sytry and I'm here to grade your magic. All of my requests are done in this color, so let's get to it. First of all, you can add a new Unique Ability, as well as D-ranked spell to replace Aries who was moved to C. You don't need to do this if you don't want to, but you have the option. The user says a couple of words before a ray of light shines upon them,granting a bartier of magic circles put together to make a bigger magic circle.If 1 attack/spell hits the magic circle it reflects back at the target who used the spell/attack.It can only reflect attacks,user rank and anything bellow user rank,if you try to reflect a spell one rank above user rank it will reflect half of it,and half of it will damage the user as well,but if you try to reflect something 2 ranks above user rank the magic circle will break and the attack will go through it dealing damage to the user.If an aoe spell is shot it is still reflected as the magic circle is 9 ft in length and width. I'm afraid having a barrier that reflects damage back is not possible for signature spells, as they can only have one effect. Please, make this into a simple barrier that can block one spell of your rank. 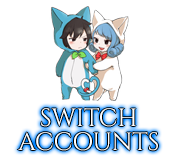 Twice a post This will have to be only once per post without a solid drawback. The user holds out their hands cutting the air,a magic circle appears on top of a target,almost like a halo,As long as this halo is on a target their attacks/spells do 15% more damage. Provide range in which the target has to be, please. The user Holds out a sword they'd like to sacrifice for the time being,After that they wave the sword around in a circle,It turns white then the user and two others gain one angel wing that blocks 2 C-Rank Damage or 1 B-Rank Damage Since this affects multiple targets, please remove the ability to block an attack above this spell's rank. Also add range in which the allies have to be. Aries conjures a massive amount of magical wool around her opponents from 25 meters away, Dealing 50% D-Ranked AOE Damage to targets she hits, in which she can ambush them in any given direction and lull them into a relaxed state, bringing the battle to her advantage. You can update this spell to C ranked values now. Bump,didn't feel like addingn another unique ability by the way. The user holds out their hands cutting the air,a magic circle appears on top of a target,The target must be at least 25 meters close to the user,,almost like a halo,As long as this halo is on a target their attacks/spells do 15% more damage. The user Holds out a sword they'd like to sacrifice for the time being,After that they wave the sword around in a circle,It turns white then the user and two others gain one angel wing that blocks 2 C-Rank Damage.The two others have to be at least 25 meters close to the user. Phone Grading by Elyx! Comments down below! Star Suit: Well this looks familiar. Approved through. Angelic Healing: Every other post, regen rules make it so that it's every other turn. Purified: All right, for pve this is fine. For player based things, this is more an immunity to lockdown based things. To counteract this, have this say equal or less ranking things that prevent you from summoning your spirits can be cast away by this ability by the user paying mp equal to the amount the opponent did to lock you down. Natually, once per post. It's fine x3 Just tell me if you'd like something from me next time. I'll gladly let you!